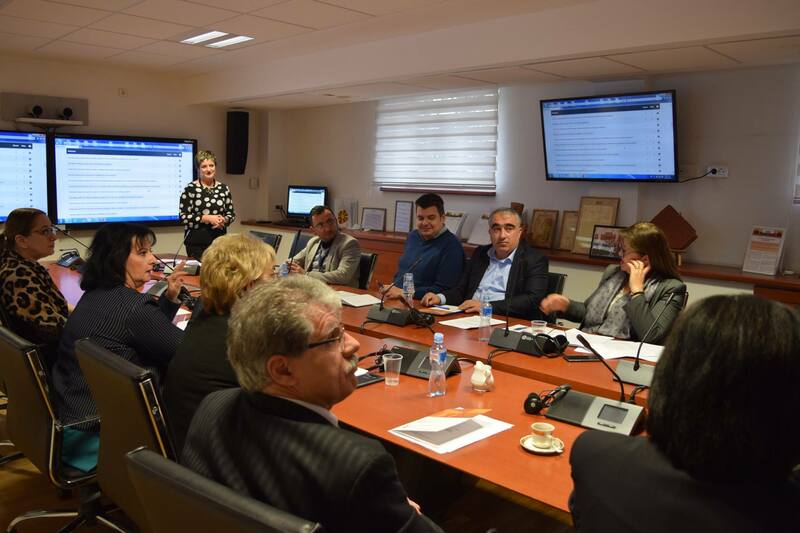 Following our request, we held a meeting yesterday, 20 November, at Parliamentary Institute’s Educative Center with the Secretary General of the Parliament of the Republic of Macedonia, which saw the presentation of the results stemming from the analysis on the openness of the Parliament conducted within the Accountability, Technology and Institutional Openness Network in SEE project. The meeting was attended by representatives of the expert service with the aim to discuss the recommendations on improving the Parliament’s state of affairs. Indicators of the access to information and financial transparency demonstrate the same level of openness – 61% and 62% fulfillment of the openness indicators respectively. Defeating, however, is the fact that the Parliament has neither uploaded information about its officer for access to public information, nor the list of public information is updated and published annually. Regarding the state budget, the openness indicators are 2% lower than last year and the fulfillment of 27% thereof is Parliament’s weakest result. Furthermore, it is of exceptional importance for the members of parliament to continue the Jean Monnet commitments on the budget, its independence and transparency. This project is implemented by Metamorphosis Foundation.